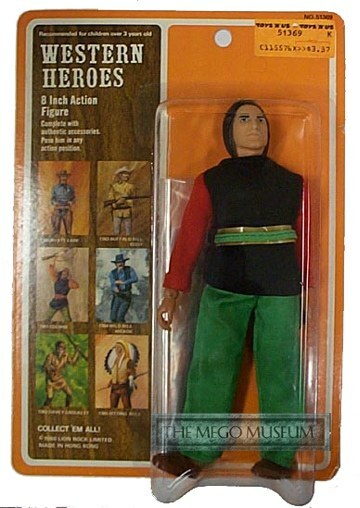 How Valuable are the Mego Wild West Action Figures? 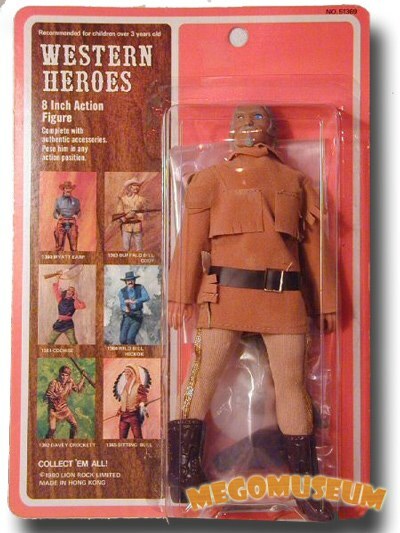 The American West series of figures was based on 6 well-known figures from the history of the old West, i.e. Buffalo Bill, Cochise, Davey Crockett, Sitting Bull, Wild Bill Hickok and Wyatt Earp along with Shadow, the Super Horrse. 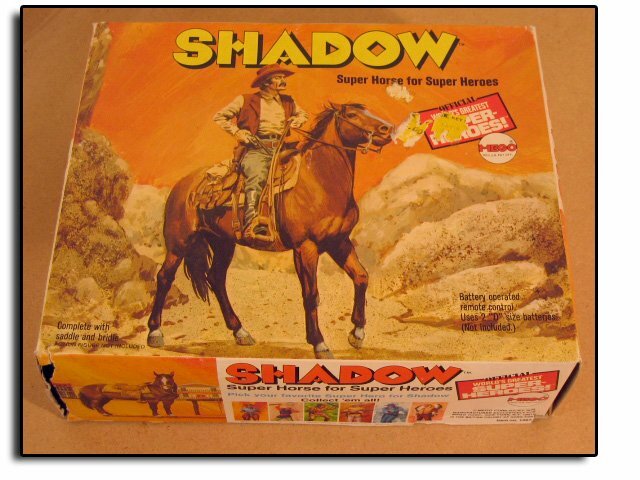 There were also plans to release a detailed Dodge City play set that made it as far as the Mego catalogue, but was never produced. These figures featured high quality detailed head sculpts, as well as a number of accessories and detailed outfits to wear. There was also a large and colorful store display produced featuring artwork of the six figures to promote the series in-stores. 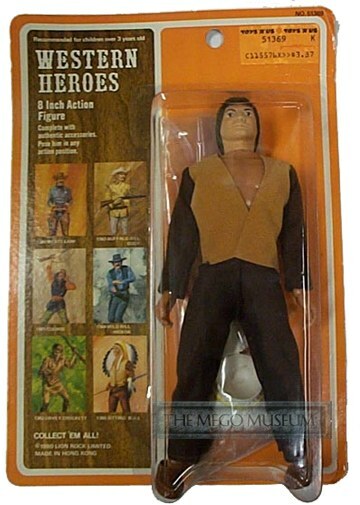 The Mego American West series was also released them in Germany as three double packs, which are rarely seen. 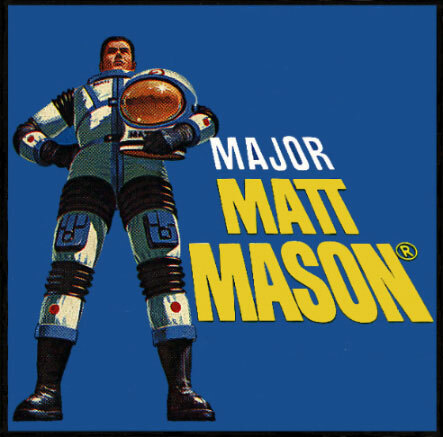 Then later, in the 80’s they were re-released by the Tim Mee Company with very different packaging. These re-issues are easy to spot because the paint jobs are sloppier and the materials used slightly different. They were also re-issued on Lion Rock blister cards which are also very rare and are thought to have been an attempt to raise more cas for the failing company. 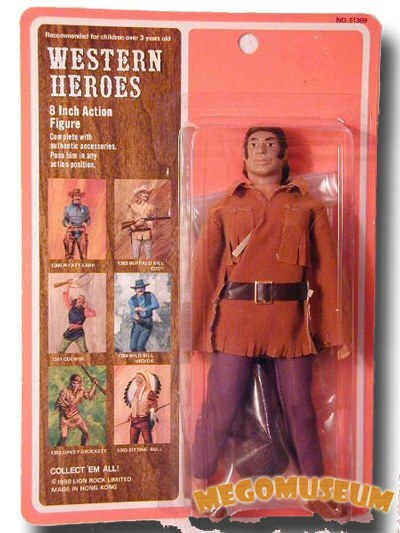 The most difficult, and popular, figure in this line was the Davey Crockett figure, the easiest to find however is the Sitting Bull figure. Wild Bill Hickock’s head sculpt was also use in the Super Knights line for the Black Knight. The most unique figure in this line was probably the Wyatt Earp figure as this is the only one that’s head-sculpt wasn’t re-used in another line.